In this blog for our Evidence for Everyday Nursing series, Sarah Chapman gives a round-up of Cochrane evidence on interventions for infants with bronchiolitis. When I was nursing on a children’s ward here in Oxford, rather a long time ago, the winter months would see our largest bay perpetually filled with infants with bronchiolitis. Bronchiolitis is a very common respiratory condition affecting children under two years old, peaking at between three and six months of age. ‘Bronc season’ was inevitably an extra busy time, and it was horrible to see these little ones struggling to breathe and feed. 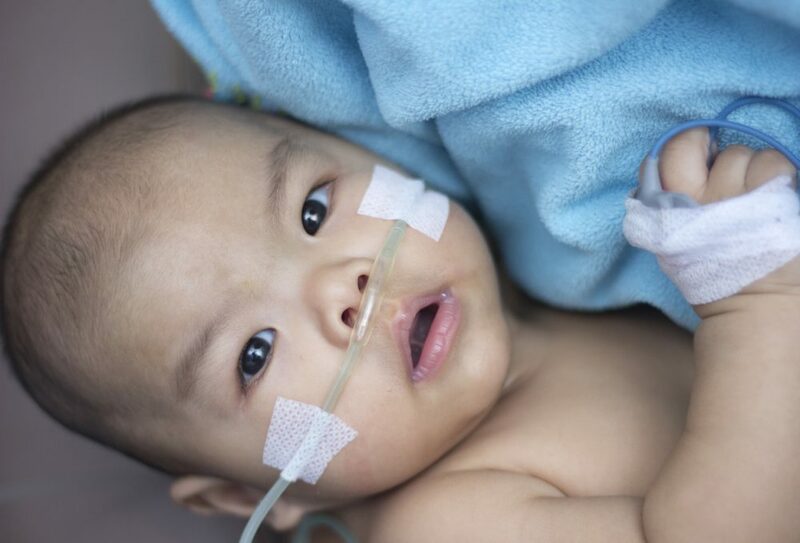 Respiratory syncytial virus (RSV) is the most common causative organism. Although it tends to resolve by itself within a week, bronchiolitis is the leading cause of medical emergencies in children younger than two during winter. While symptoms generally peak at three to five days, the acute phase can last up to three weeks, and about 10% of children will continue to cough and wheeze long after that, sometimes even needing a second hospital admission. Supportive care, ensuring adequate fluid intake, feeding and oxygen exchange, is the mainstay of treating infants with bronchiolitis, but there are variations in practice and a lack of consensus about management. I’ve had a look at the evidence from Cochrane Reviews and at the most recent NICE guidance (NG9, 2015). Oxygen supplementation is a fundamental element of supportive care for infants hospitalised with bronchiolitis. NICE recommends giving oxygen when oxygen saturations are persistently below 92% with the child breathing air. Delivering humidified oxygen through high-flow nasal cannulae is an alternative to standard supplemental oxygen delivery; a Cochrane Review has found insufficient evidence to establish its effectiveness, and NICE has flagged this as an area that warrants exploration in a large, multicentre randomised trial. In resource-constrained settings, steam inhalation is often used to treat acute bronchiolitis; this Cochrane Review has found that there is a lack of evidence to inform practice. Evidence from another Cochrane Review suggests that heliox inhalation therapy probably reduces the clinical respiratory score in unintubated infants but does not reduce the need for mechanical ventilation, intubation or length of stay in the paediatric intensive care until. The Cochrane Review on the use of continuous positive airway pressure (CPAP) for children with acute bronchiolitis, signals continued uncertainty, as they found low quality evidence from only two studies with just 50 infants. NICE recommend that CPAP should be considered for children with bronchiolitis who have impending respiratory failure. Hypertonic saline is listed in the NICE guideline as one of the treatments that should not be used. It will be interesting to see whether future research finds this to be a useful treatment, as a very recently updated Cochrane Review has found that it may modestly reduce the length of hospital stay and improve clinical severity scores. NICE guidance states that antibiotics should not be used to treat bronchiolitis. 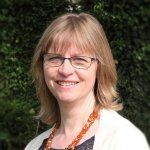 The authors of this Cochrane Review on antibiotics for bronchiolitis in children under two concluded that the evidence does not support their use, while another Cochrane Review looking at whether antibiotics could be helpful for treating persistent respiratory symptoms following acute bronchiolitis highlighted the evidence gap here, with only low quality evidence from two small trials. Bronchodilators, such as salbutamol, have been explored in this Cochrane Review. The evidence is not high quality; the authors discuss the associated costs and potential harms of bronchodilators, and suggest what is needed in future research. NICE include bronchodilators in their list of treatments that should not be used for children with bronchiolitis. NICE guidance states that chest physiotherapy should not be done on children with bronchiolitis who do not have relevant comorbidities. A Cochrane Review found high quality evidence that forced expiratory techniques, compared with no physiotherapy, do not offer any benefit and may do harm (such as inducing vomiting and respiratory instability). The review authors highlight the need for more evidence on slow passive expiratory techniques, as the existing (low quality) evidence suggest they may give some temporary relief in some children. In addition to establishing the benefits and harms of high-flow humidified oxygen, NICE calls for a randomised controlled trial of combined adrenaline and corticosteroids treatment, following evidence from a large RCT, included in this Cochrane Review, which suggests that this may reduce hospital admissions. NICE also says that research is needed to inform the use of oxygen saturation measurement in primary care; on the effectiveness of paediatric early warning scores as predictors of deterioration; and a comparison of the clinical and cost effectiveness of nasal suction with minimal handling. You can sign up for the newsletter of our Evidence for Everyday Nursing series here, and follow @CochraneUK @SarahChapman30 #EENursing on Twitter.